This is part Three of a series examining the Ten Commandments with the help of the Hebrew Aleph-bet and the symbols found in numbers. This will continue with the 2nd commandment that was introduced in part Two. This article covers the 2nd and 3rd commandments. Note: additional discussion of the 3rd commandment may be found in an earlier article (http://www.bulldozerfaith.com/the-name). BET is the HOUSE and the number TWO. Two is the symbol of separation, or witness. (See also the 9th commandment). In short: His House, His Rules! Don’t bring false gods or Idols into HIS house. We are to separate ourselves from pagan idolatry. Perhaps you will recognize a common practice described in the following verses. What did my Horoscope say today? What ‘sign’ are you? Jer 10:3 “For the prescribed customs of these peoples are worthless, for one cuts a tree from the forest, work for the hands of a craftsman with a cutting tool. 4 “They adorn it with silver and gold, they fasten it with nails and hammers so that it does not topple. Another real familiar refrain there! Cutting trees from the forest and adorning it with silver and gold! I can hear the jingle of bells! What?! That’s not what it means! Is it? IS THE NOTION OF IDOLATRY OFFENSIVE TO YOU OR TO YHVH? What if we set aside our feelings of offense and consider it as if Jeremiah is speaking to us today! But wait! Isn’t that ‘idolatry’ thing from the past, or only followed by those who practice witchcraft or something? I’m not worshiping a tree! Nobody really believes in astrology! Do they? Consider that we are His House! Our bodies are a tabernacle of the Holy Spirit. Perhaps we should not be so quick to think idolatry doesn’t apply to us. We are to be a witness for YHVH and His Way. Anything that we place before, in front of, or instead of YHVH is an idol. Even traditions that we hold in great affection may be displeasing to the Father! In the New Testament, we see Yeshua railing against the Scribes and Pharisees because they were hypocrites! That seems to be more upsetting to Him than out-and-out rebellion! It is saying one thing, and doing as we please instead of what is pleasing to Him! BUT, WHAT HARM IS A CHRISTMAS TREE? What about EASTER? Is it idolatry to celebrate Christmas and Easter? Is it even Biblical? That might be hard to understand and accept, I know! But, answer this question: Did the Father, did Yeshua, ever say to celebrate Christmas or Easter? Are they even found in the Bible? Easter does appear in some versions of the Bible as a replacement for Pesach (Passover). Can this legitimize the word “Easter’ which comes from the pagan goddess known as Ishtar, Eostre, Ashtaroth and other pagan gods who were the focus of fertility rites and child sacrifice? Knowing how much the Father wants no other gods in his face, it seems likely that ‘Easter’ is an affront to Him on many levels. Not the least being that it is a substitute for His declared Holy Feasts, and tramples underfoot the true Passover Lamb (Yeshua)! Yes, but He Promised His Holy Spirit would Lead us! He did promise that he would send the comforter (Holy Spirit) to guide us into all truth! But, how do we identify what is truth? The Pharisees that Yeshua called hypocrites thought they knew the truth! They were the religious leaders of the day! They read from the Hebrew Scriptures and they still got it wrong! What is a 21st Century believer to do? John 14:16 And I will pray the Father, and he shall give you another Comforter, that he may abide with you forever; 7 Even the Spirit of truth; whom the world cannot receive, because it seeth him not, neither knoweth him: but ye know him; for he dwelleth with you, and shall be in you. 18 I will not leave you comfortless: I will come to you. 19 Yet a little while, and the world seeth me no more; but ye see me: because I live, ye shall live also. That seems to just wrap it all up in a tidy bow doesn’t it? Does the truth ever change? So, from this we are to understand that the Holy Spirit is what empowers us to keep the commandments? He does it all so we don’t have to? The Holy Spirit doesn’t replace the commandments! It’s not a get-out-of-jail free card! Yeshua said to follow His Commandments! Yes! And what did He teach? HOW CAN WE BE IDOLATERS WHEN WE BELIEVE? 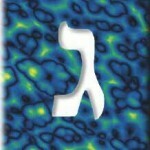 All of us, at one time, accepted that YHVH is Love. But, this might be looking at the truth in a totally selfish way. He’s all ‘love’ and we are all ‘loved.’ But, I challenge you to rethink that paradigm! Should His love for us be unrequited? Don’t we need to love Him in return for all He has done for us? Is it enough to pay lip-service to Him while we speak against the very Torah that He gave to us to bless us? The same Torah that Yeshua died to uphold!? The very Torah that became flesh and dwelt among us! And who do we look to for our instruction? We all say: Yeshua! But, that implies that none of YHVH’s people had any instruction before Yeshua. How can that be? What about Moses? What about Abraham? When did we first receive instructions from YHVH? Weren’t Adam and Eve given instructions to follow? YHVH told us not to learn the ways of the ‘nations.’ When the Israelites went into the lands occupied by pagan idol-worshipers, they were instructed to destroy those high places, tear down pagan altars and to not learn the ways they practiced their religion. Any false way removes us from Him. If we are to love Him with all our heart, mind, soul and strength, then anything that gets between us and Him needs to be examined. We must first look to Him. His way! Are you still not convinced that the Second Commandment is applicable today? We aren’t engaging in child sacrifice today, are we? Now we are free to choose! Right? Since two symbolizes a witness, a connection may also be made that idols cannot witness anything. They are powerless to help us, but they can get in the way of our relationship with the Father and cause a separation within His House. If we have an idol between us and our Father, we won’t be able to see Him. If we are ‘one’ with our idols, we cannot be ‘one’ with the Father. The second commandment is about idolatry because TWO divides. We cannot serve Two masters. We must choose between serving YHVH and our own wants and desires. There is a pattern in scripture where One becomes Two and then is re-gathered into One. One is completeness. One (echad in Hebrew) is how we describe YHVH. He is One. We see this pattern in Adam and Eve, The Two Stick Prophecy, One New Man, the prodigal son! It’s practically everywhere in the Scriptures! The Tree of Life is One, and the other tree is a mixture of Good and Evil…two things! He wants us to come back to One-ness with Him! Since we understand that Two is a symbol for separation or division, we know that the 2nd commandment has to do with separating us from the Father. A divided House cannot stand! If we divide one by two we end up with half. Half of what? Half of the whole! And it isn’t just a math problem! It is a logic diagram! Idolatry separates us from YHVH. Idolatry divides into two what should be one. Idolatry is sin. The penalty for sin is death. Transgression of the 2nd Commandment leads to death. Indeed, transgression of any of YHVH’s Law carries the penalty of death! That is the short answer for ‘what is the law of sin and death?’ You sin, you die! BUT WE ARE PROMISED ETERNAL LIFE!! To die would be the ultimate separation from our Creator. Aren’t you glad that He provides a way for us to be reunited to Him? The Two may become One! He promised, and he provides a Way. When Yeshua paid OUR penalty of death for transgressing the Law of YHVH, he made a way for us to follow! Now we can do our part! We can understand that walking contrary to His way is what separates us from Him! And we learn about His Way from His instructions! The Law is what defines sin! One of those sins, the one YHVH taught immediately after He identified himself, is the sin of idolatry! Are we really sure that something so important should be shrugged off as a thing of the past? Are we really ‘evolved’ human beings? Do we know better than our Father? Do your own self-check. What comes first in your life? (It’s probably the thing that you spend the most time thinking about.) What takes up your time? We can allow idols to come between us, even today! Are you putting Him first? Do we look forward to the big game on Sun-day, or spending time in the Torah on the Sabbath? Do we begin the day with a prayer of praise and thanksgiving, or run for the coffee pot? Are we more interested in earning our paycheck so we can spend it on ourselves, or working hard to serve or support others less fortunate? Let’s consider prayer, reading the Scriptures, Bible-study, taking care of ‘widows and orphans’ as He instructed! These are indicators of how close to the top He is on our list of things-to-do. He wants to be the top of our list! It is so easy to get busy with our own lives and interests. We look askance at folks who ‘wear their religion’ on their sleeves. We might think it is cultish to set aside a time for prayer everyday (as do those who practice Judaism, or even Islam!) No prayer by the clock for me, you say? Is that rebellion or lack of discipline? Deu 6:4 “Listen, Israel! The LORD is our God, the LORD alone. Deu 6:5 You are to love the LORD your God with all your heart, all your soul, and all your strength. Deu 6:6 “Let these words that I’m commanding you today be always on your heart. Deu 6:7 Teach them repeatedly to your children. Talk about them while sitting in your house or walking on the road, and as you lie down or get up. The ‘Shema’ states we should be in constant ‘prayer, praise, and teaching’ mode! We need to Speak of Him, when we arise, when we retire, when we walk along the way! We are to Teach them to our children, constantly! What better truth to have continually in our heart and mind and animating our actions? Yeshua paid our death penalty so that we have the hope of salvation. Hope is the expectation of a future reality. The hope is ours because of His faithful promises to us! When will ‘hope’ be made ‘reality?’ When will we see clearly what now is only through a dark glass? WHAT’S ALL THIS TO DO WITH IDOLATRY? What are we to do? How do we remove the idols that get in the way of our seeing Him face-to-face? What is our response for being freed from the inevitable penalty of our sin? Can we improve our understanding of our role as His children? We know that He is the Creator of all. By His grace we live and breathe! By His love and faithfulness we have the hope of eternal life in His presence! There is a reason why He asks us to place His name first on our list, just as His name is declared in the first commandment! 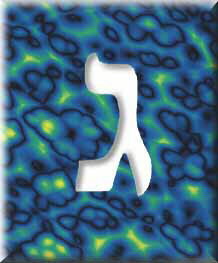 His name is YHVH. No others need apply. He should be first in our hearts, first in our minds and first in everything we say or do. Then we will know that we know Him. LET US NEVER TAKE HIM FOR GRANTED! What is the first thing on your mind when you awake? Before you sleep? Do you only remember Him when it is time to say ‘grace.’ Do we only cry out to Him for help? Look around! Psalms 19:1-4 The heavens are declaring the glory of God, and their expanse shows the work of his hands. Day after day they pour forth speech, night after night they reveal knowledge. There is no speech nor are there words—their voice is not heard— yet their message goes out into all the world, and their words to the ends of the earth. Oh, that we would remove all the temporary things which are between us! Ask Him to show you what you have made an idol in your life! What he reveals may hit you where you live! Listen, and be transformed! Isn’t the goal to draw closer to Him? MAY HIS PRAISE BE CONTINUALLY IN MY MOUTH! Yeshua told us the first and greatest commandment was to love YHVH with all of our heart, mind, soul and strength. That is a tall order! But when we recognize and know Who He IS and How MUCH He has done for us, we must respond with Praises of Thanksgiving! I woke up today! Praise Him for His mercy! I am reminded of an old song that I love very much. It is ‘Count Your Blessings.’ It gives good advice: count your blessings instead of worrying. I think if we just took a few minutes every day to reflect on His many blessings to us, we would never run out of items to list! Just be sure that HE is at the Top! Let us praise Him continually! Psalms 16:8 I have set the LORD before me continually; because he stands at my right hand, I will stand firm. Rom_12:2 Do not be conformed to this world, but continually be transformed by the renewing of your minds so that you may be able to determine what God’s will is—what is proper, pleasing, and perfect. The prophet, Isaiah, wrote a second witness for the first two commands given to Moses. Isa 42:8 I, YHVH, am the one, and I won’t give my name and glory to another, nor my praise to idols. 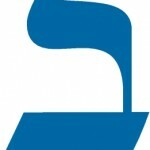 GIMMEL is a camel, water-bearer; Gimmel also means ‘foot’ as in how we walk! It means to Lift Up. THREE is the third of the Feasts (the Feast of First Fruits) when Yeshua was ‘lifted up’ to Heaven! Yeshua fulfilled the First Fruits offering at his resurrection! Obedient in every detail to the prophetic shadow pictures given to us in the Spring Feasts of YHVH! He provided the First Fruits when He was the first to ascend to Heaven from the dead. Not only that, he arose on the Third Day and then fulfilled the 3rd Feast (First Fruits)! Gimmel is a Camel! 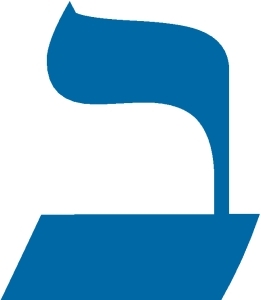 Like its identifier, Gimmel means to ‘lift up.’ A camel carries Water, and water is often a symbol of the WORD. In the Scriptures, Camel is also a symbol for Commandments. (Remember, Eliezer and the Ten Camels at the well?) Gimmel is also described as a foot, and, just as a camel walks along, the third commandment gives us insight into how to walk, and lift up His Name. If we put all these concepts together we could say that the Third Commandment tells us to “Lift up His Name; Walk in the Commandments, or Carry the Water of the Word!” And, why? So that we do not take His Name in vain! What if our understanding of this commandment has been watered down? What if it is more than an admonition to refrain from saying the Name in a casual or blasphemous manner? What if it really has more to do with how we walk and how we lift up His Name? I THOUGHT THIS WAS ABOUT WHAT I SAY! YOU KNOW: DON’T BLASPHEME! What does ‘lift up’ ‘walk’ and ‘commandments’ have to do with taking His Name in vain? The third commandment just says not to swear by saying his name! Doesn’t it? Obviously, using His Name in a profane or casual manner does nothing to lift Him up! It doesn’t even lift up anyone else! Many folks find it offensive to hear His Name connected to unholy things! It trivializes His Name! Even worse! What if we ‘swear’ by His Name with no intention of carrying through with our oath? Doesn’t that make His name come to naught? How much more vain can it get than to promise something using His Name that we don’t take seriously? Is there anything worse than a broken promise? Either of these attitudes or behaviors drags His Name through the mud and treats it as common! Isn’t that bad enough to earn a whole commandment? But, what if it also means: If you are called by My Name, you represent Me and My commandments? WHAT? ISN’T THAT STRETCHING IT A BIT? A familiar translation is ‘Do Not take My Name in Vain.’ He says if you take my name (identify that I am your Lord and Savior) Don’t take it lightly! Give my Name the respect it deserves! DO NOT cause shame to be placed upon MY NAME. Remain faithful and keep your vows. One way we might think of faithfulness and vow-taking is pictured in a wedding ceremony. What is typical of an old-fashioned wedding? The marriage ceremony has the bride promise to ‘obey.’ And, just as pictured when YHVH ‘shared’ His name with Abram and Sarai by changing their names to Abraham and Sarah, a bride usually ‘takes’ the name of her husband. When we call ourselves ‘Christians’ or ‘Believers in the Messiah’ or the like, we take His Name, we identify ourselves with Him. When we call him LORD we say He is our Master, and our King. Therefore, since He is the head of our house, we should obey His instructions. Wouldn’t it be taking his Name in vain if we fail to understand that He is our King? How, then, do we demonstrate that He is the Head of the Family? What other things are part and parcel of taking the name of a husband? When we take His name, we are saying that we are calling him LORD – the Head of our house. We vow to be faithful. We promise to remain loyal and true to our new family. We recognize that everything we say and do from now on is a reflection of our spouse! Don’t we want to do everything we can never to bring shame or condemnation upon our spouse or family? We don’t want to get a ‘reputation!’ Do we? How are we to fit this into the Third Commandment? What constitutes YHVH’s reputation? Can we know? Can we tarnish His Name? What if we recognize that His Commandments are a reflection of His Reputation? In every way they describe the heart and character of YHVH! They define what He values for himself and for us! His commandments are His reputation; His Commandments Lift Him Up! If we accept Him (take His Name), we should not do it lightly (in vain), but in the fear and respect due to the One who holds the Power of Life and Death, and walk accordingly. In other words, if we accept that the Commandments were given so that we might know who He is, and how to understand the ‘house rules’ of our Father, anything that diminishes his instructions brings shame upon Him. Yes, it is our shame, but as those who call Him our Lord, it brings shame upon Him as well. When we identify ourselves with Him others measure Our LORD by our behavior. If we don’t take him seriously, why would anyone else? Perhaps that is why He became a shame for us. We really don’t know what we are doing, do we? Even Moses reminded the Father that His actions reflect upon His Name and Reputation. During the golden calf incident, when Moses ‘delayed’ return from Mt. Sinai, the people constructed an idol and prepared a feast unto YHVH! But, it was a mitzvah of their own devising, not what YHVH had commanded them! 14 And YHVH relented from the disaster that he had spoken of bringing on his people. Aren’t you glad that our Father is a Keeper of His Word? Shouldn’t we do likewise when we take his name and call him LORD? Our Father reminded us to keep all the commandments. Can you identify which ones He mentions specifically? Be ye hallowed? What does that mean? It is a word that probably needs clarification. This says that He is Holy and is to be called and recognized as Holy, just as He declared his people to be Holy. Sometimes holy is restated as set-apart. We are to be a holy nation! 1Pe_2:9 But you are a chosen people, a royal priesthood, a holy nation, a people to be his very own and to proclaim the wonderful deeds of the one who called you out of darkness into his marvelous light. WHY DOES YHVH NEED A HOLY NATION? Deu 4:6 Observe them carefully, for this will show your wisdom and discernment in the eyes of people who’ll listen to all these decrees. Then they’ll say: ‘Surely this great nation is a wise and discerning people.’ 7 For what great nation has a god so near like YHVH our God whenever we call on him? 8 And what great nation has all the decrees and righteous ordinances like all this teaching that I’m giving you today? So, when we get it ‘right’ we demonstrate the character, reputation and heart of our King! We don’t take the commandments lightly or in vain because they are important to Him. They are important for us, and they are a beacon to others to proclaim who is Our Father! We lift up His Name! HOW DOES THAT FIT IN WITH HIS GIFT OF GRACE? How does a command to be holy fit in with the gift of grace? Aren’t we under ‘grace’ and not the law? What does Peter say about grace? That sounds like we are waiting for that grace yet to come! Peter says we don’t have it yet, at least not in completeness! We have the hope of grace which Yeshua will bring at his revelation! We are promised His grace. But who gets the grace He extends? He extends it to those who love Him! Peter continues the thought in the very next verse! Holy grace-doctrine, Batman! Be holy as He is holy! Be set-apart (from the world and its idols) and bring honor and respect as representatives of His Name! YESHUA SAID TO LOVE YHVH! But, I do Love YHVH! How can love ever be a burden? We love Him and accept his Name! When we accept His Name, we agree to abide in His commandments! And keeping His commandments is the evidence that we love Him! I really appreciate how you write the truth and are gentle in your presentation. Why do you believe Father created the Gregorian calendar? Wow. That is a thorny question. I really don’t have an answer for that! But, you have given me something to think about! Shalom!